Being in an accident is shocking, confusing and often horribly painful. Understanding what you can do to protect yourself, physically and legally, if you suffer injury in San Diego — or anywhere in California — is vitally important. With offices in San Diego, the personal injury lawyers at Gilleon Law Firm have a reputation as aggressive, fair litigators, dedicated to protecting the rights of injured clients, and pursuing full compensation for them. If you recently suffered injury, our accident attorneys offer thoughtful counsel on steps to protecting your interest and pursuing a legal claim for personal injury. At the scene: Call the California Highway Patrol, or direct someone to call law enforcement. If there are no injuries, move cars out of the traffic flow, and wait for police. At any accident scene, take photographs with a camera or cell phone, if you have one. For car accidents, note the position of cars and debris. With other types of accidents, such as slip and fall, photograph poor quality or slippery flooring — keeping in mind that these conditions will rapidly disappear or be repaired as news of your injury becomes known to owners. For boating accidents, photograph equipment, boats or other elements you believe relevant to the cause of your injury. Witnesses: Obtain witness contact information, if possible. Offer your own contact information to witnesses. While at the scene, listen, but do not offer your version of events, or accept responsibility for the accident. Notification: After a car accident, contact your insurance agent as soon as possible, offer a clear explanation of events, answer questions but do not agree to a recorded statement for any insurance company without consulting an attorney. If injured, notify our office after you receive medical help. Establishing a solid legal foundation begins with the facts and evidence established at an accident scene. After any serious accident, speaking to well-qualified legal counsel is important. 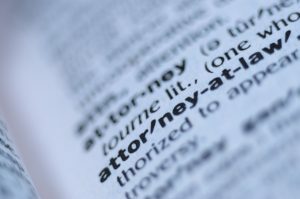 Gilleon Law Firm is known for experienced legal counsel and aggressive pursuit of client claims. If you suffer injury due to the negligence of others, we can help. With offices in Downtown San Diego, and serving clients throughout San Diego, Orange and Los Angeles counties, we are just five blocks from the Hall of Justice, and two blocks from the Santa Fe train station. We offer flexible hours by appointment. Contact us online, or call 619.702.8623, to schedule a free consultation today. After-hours appointments are available.